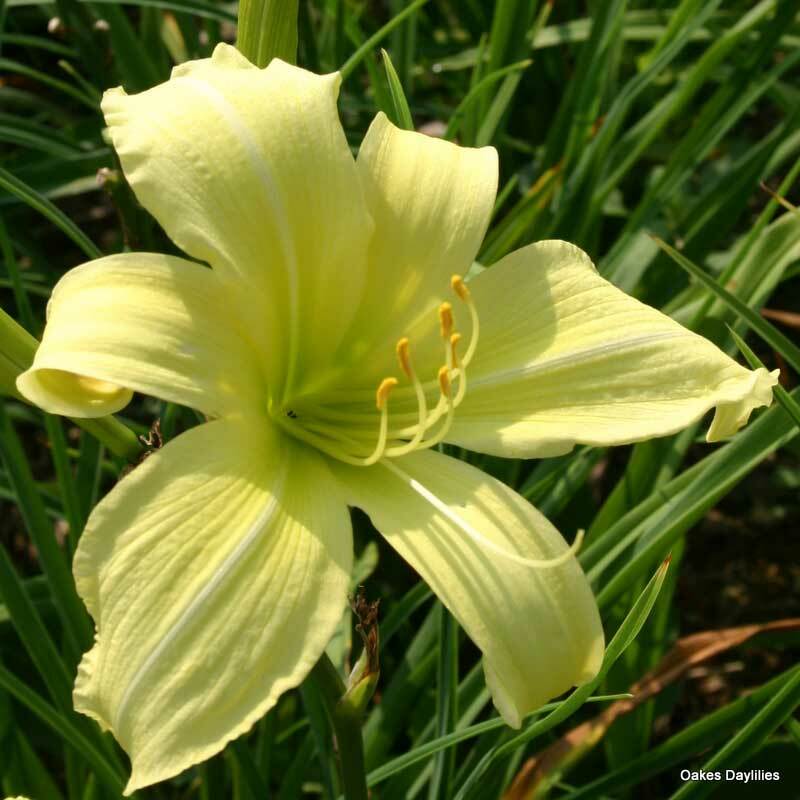 Pale creamy-yellow blooms come in abundance on this large-bloomed beauty. Makes a mass of color that is simply spectacular. 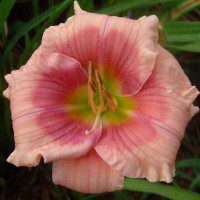 A great color for blending with darker varieties. Fragrant. 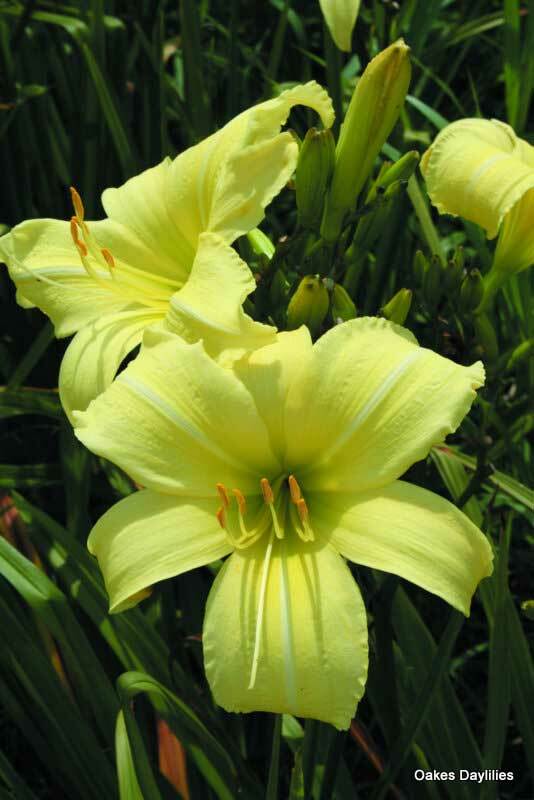 Love this gorgeous daylily. 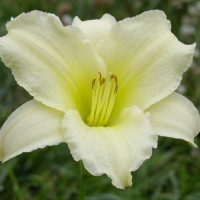 The blooms are huge, and it’s a good rapid grower. In my garden, it never gets as tall as the stated height. Goes great with Wayside King Royale. 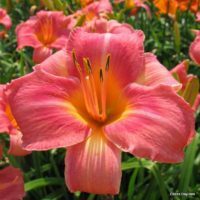 This daylily is stunning!! 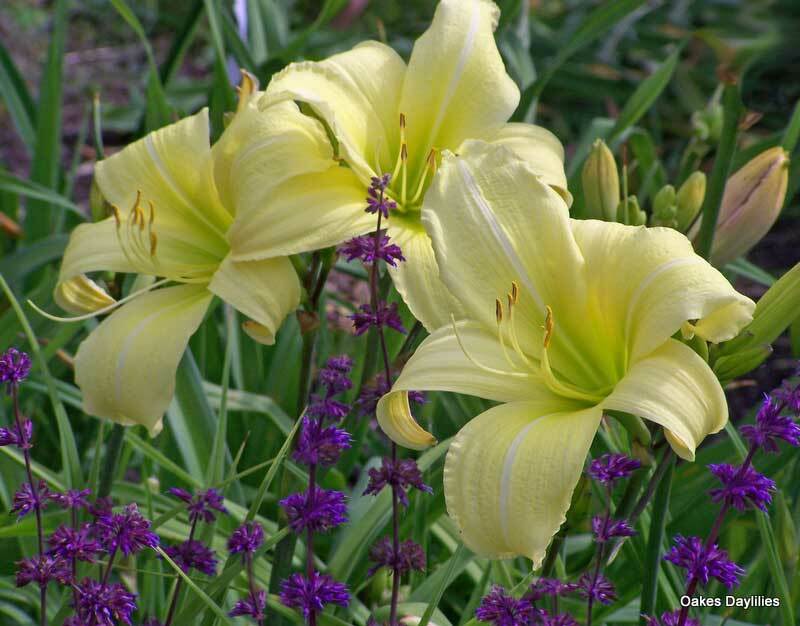 It may be a pale yellow but it glows and I keep dividing every few years to spread the joy and give to friends:} One can not go wrong to add this to their gardens. 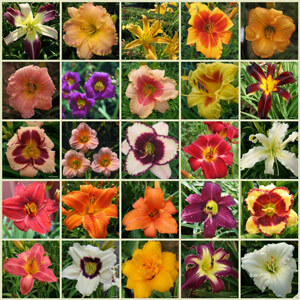 I have hundreds of varieties of daylilies and this is my absolute favorite. The color is very soothing and well, almost appetizing…like a pale lemon sherbet. That combined with the subtle fragrance really sets it apart from all the others. It’s one of the 3 or 4 plants I most look forward to blooming each year. 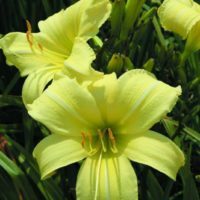 I’m not usually a fan of yellow daylilies, but I bought three of these on a whim. Wow! I was not disappointed. They are definitely much prettier than I expected and look wonderful placed next to purple-flowering perennials. It looks great next to baptisia australis or perennial salvia – – a great color combination. I would definitely recommend Prairie Moonlight, It gets your attention! 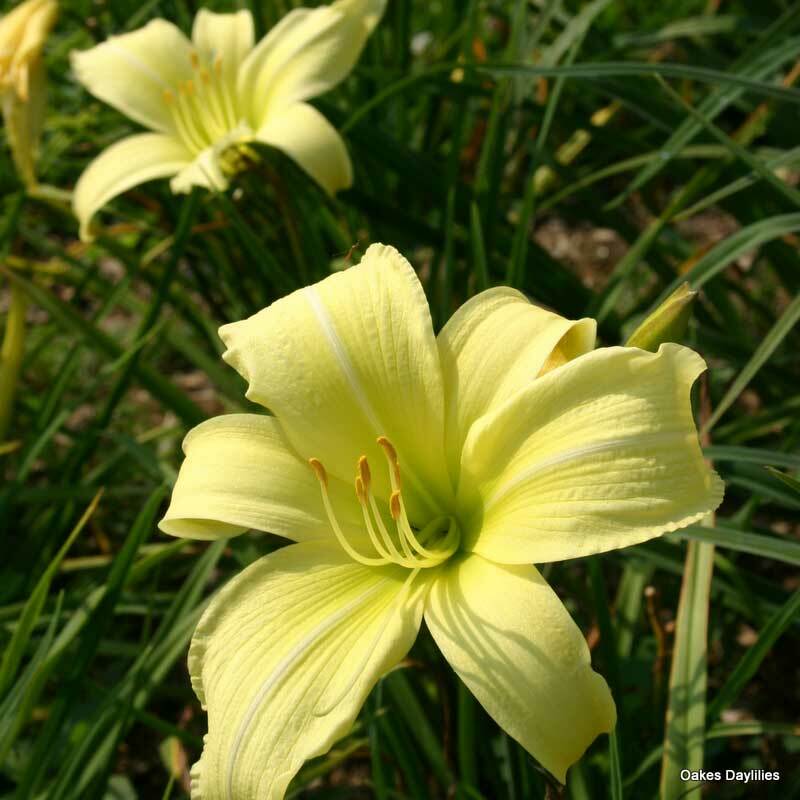 To be honest, when it comes to daylilies, prairie moonlight really doesn’t fit my overall taste. But, hey, live and learn! I tried it on a lark and certainly wasn’t expecting to be smitten. It hooked me. As far as placement goes, I recommend a spot that benefits from the light of evening and sundown. The huge blooms seem to glow in the late day light. 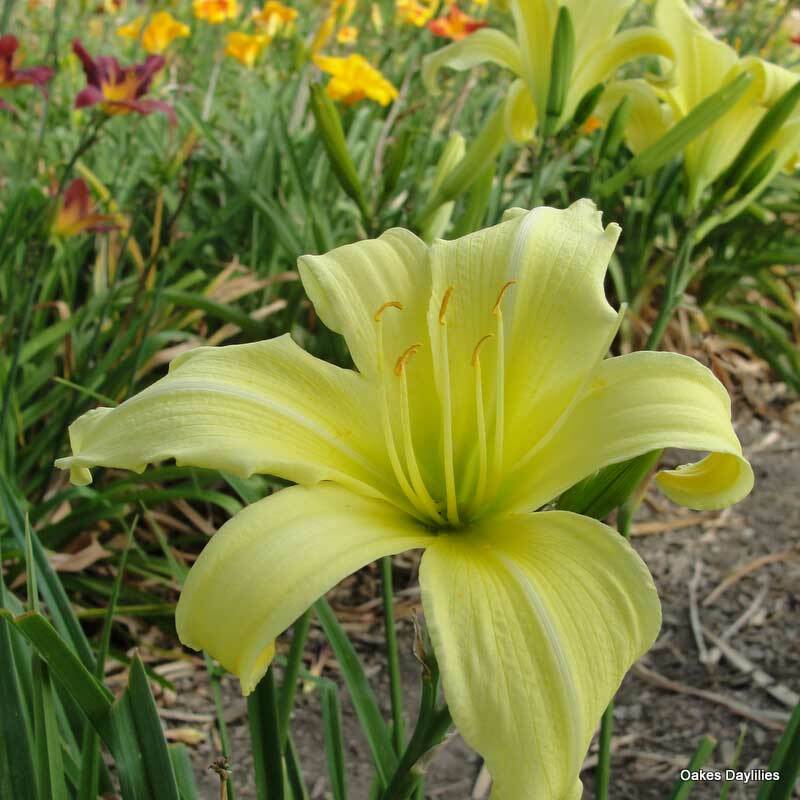 This is one yellow daylily that will get your attention, no matter what else is blooming nearby. Big, big blooms. My only problem, if any, is that it isn’t a rebloomer. I got this late last summer from Oakes and have lots of bloom this year on a good sized plant. 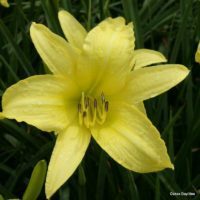 If you love a good yellow daylily with huge blooms, this is for you. Just got these plants two weeks ago and they are already blooming. Great fragrance and color. Size of plants were astounding. Taking the extreme heat and humidity very well, and thats saying a lot for this area. RECOMMEND HIGHLY!! Wow! For non-stop bloom & exotic fragrance this is the one to have! A show stopper! This is my favorite. Wish I had a perfume as soft & romantic. Lovely flowers, sturdy plant. All moonlight gardens should have this plant. Opens in the afternoon and glows in the evening. 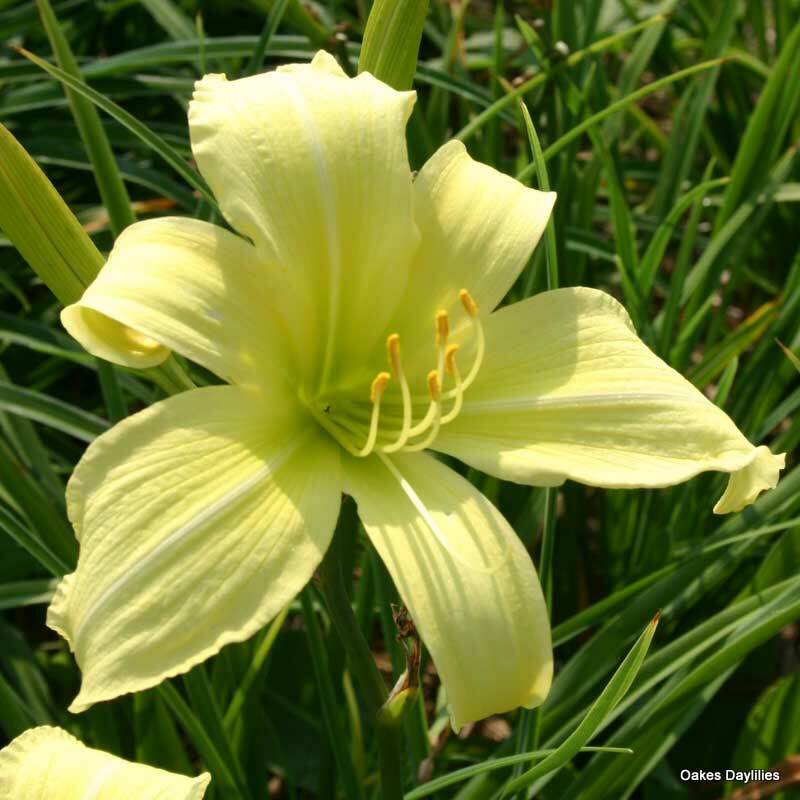 Big, beautiful pale yellow flower. And FRAGRANT to boot! 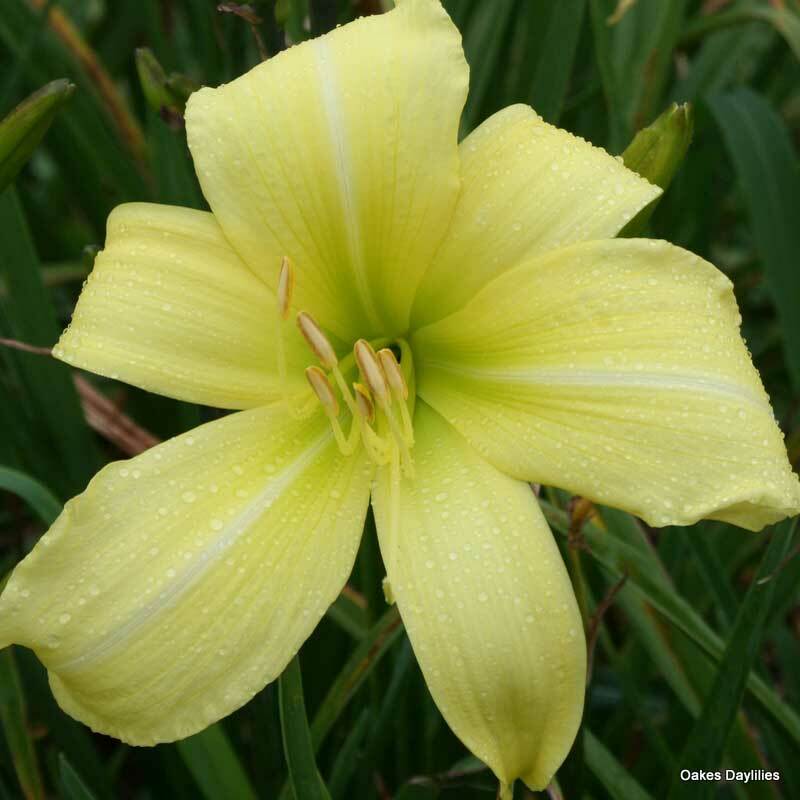 This daylily earned a 9 only because it is not a Stout Award winner. 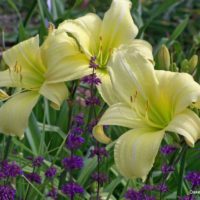 In my north garden it puts on a floriforous display that compliments and rivals the 75 pastel Asiatic Lilies 5 feet away. Everyone comments on it. 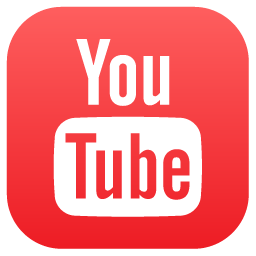 It creates a great party effect. My clump is 8 years old and was divided once into 65. The color merges well with any perennial.